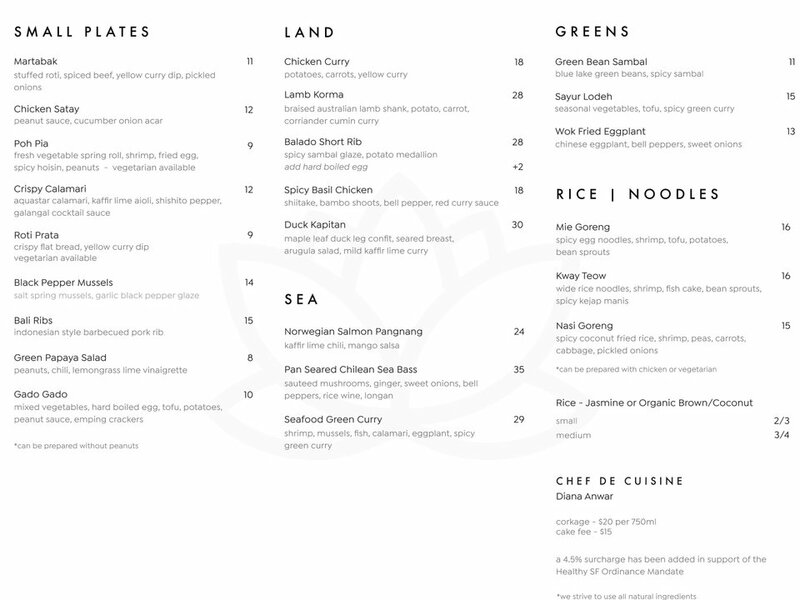 Indo Restaurant, an Indonesian fusion restaurant, is opening next week at 4039 18th St. (at Hartford), formerly home to Mekong Kitchen and Urban Picnic. The spot is the first spin-off of the Palo Alto-based eatery. 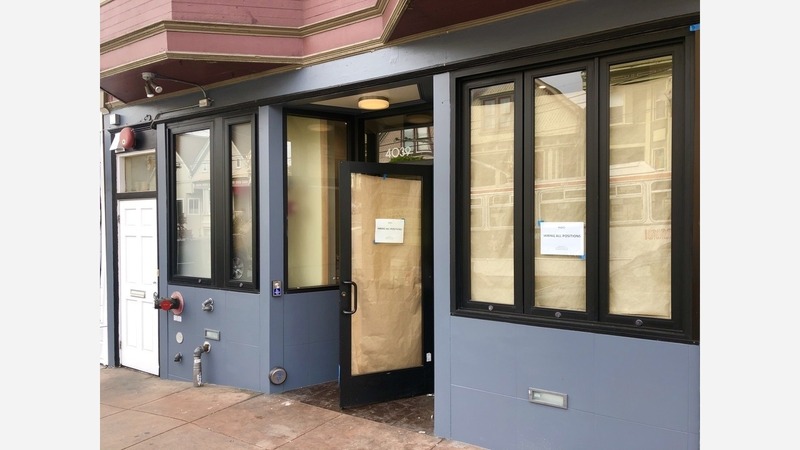 When we spoke to co-owner Bryan Lew in December, he said he was shooting for a spring opening, but he now says the space will open softly on Thursday, March 15th. "I'm excited and as nervous as anybody," said Lew, but "it's a great area for food." Indo's kitchen will be run by co-owner and executive chef Tommy Charoen and chef de cuisine chef Diana Anwar. Location played a key role for Lew. "Being right there in that triangle of Upper Market, Noe Valley, Mission District and Castro, it's a nice little mecca," he said. According to its web site Indo pairs "Indonesian flavor profiles with Western cooking methods," serving traditional dishes like chicken satay ($12) and roti prata, crisp flatbread ($9), alongside Norwegian salmon pangnang with kaffir lime chili and mango salsa ($24) and spicy basil chicken with shitake, bamboo shoots and bell pepper in red curry sauce ($18). Rice and noodle entrees include nasi goreng (spicy coconut fried rice with shrimp, peas, carrots, cabbage and picked onions) at $15 and kway teow, served with rice noodles, shrimp, fish cake, bean sprouts and spicy kejap manis for $16. Open for dinner Monday through Saturday, the restaurant will serve beer and wine only, charging a $20 corkage fee. The dining area accommodates 50 customers, but Lew said the eatery will accept walk-ins and require reservations for groups of 6 or more. Indo Restaurant is currently hiring; interested parties should email bryn@indorestaurant.com.